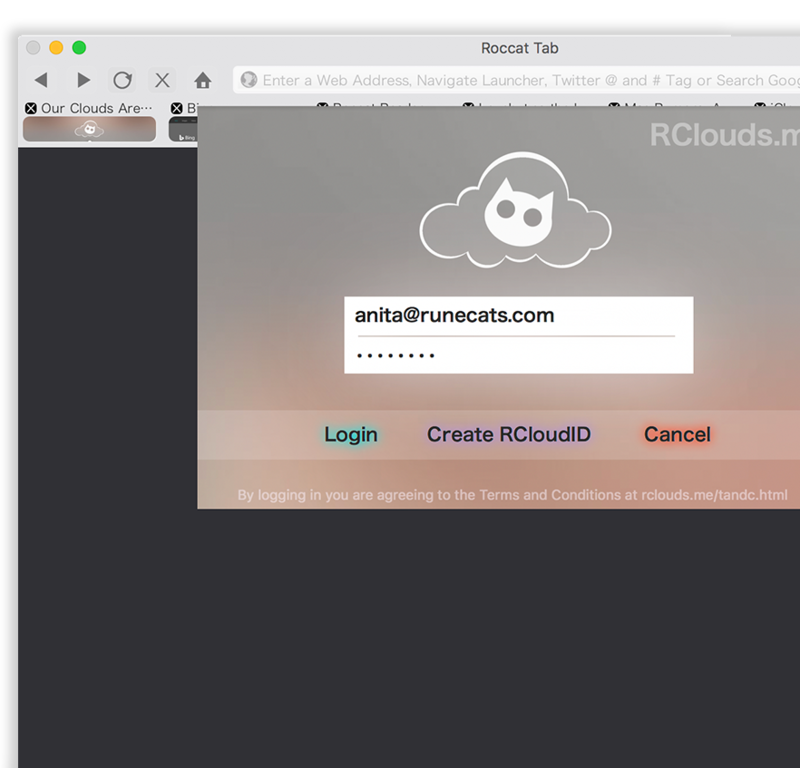 Roccat comes with VisiTabs, which allows you to see a preview of each webpage within its tab. VisiTabs can be resized to whatever size you want, it can be moved to any side of Roccat, it can even be moved to a Drawer. Roccat gives you the option of using VisiTabs, however if you prefer, you can still use the old style of tabs. PasteBoard Suggestions offers you intelligent suggestions based on what you have copied. It makes suggestions based on URL’s, text, emails, twitter handles and more. Simply click on it or press command enter to activate the suggestion! 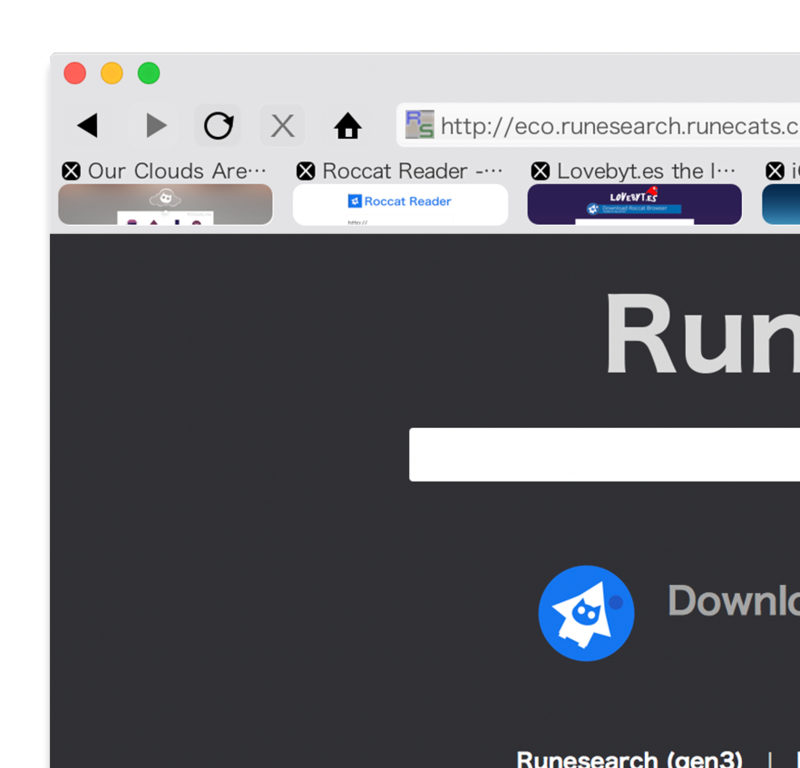 RClouds was first announced in Roccat 2, it allows you to backup your open tabs, history, bookmarks, settings and all other aspects of your browsing life. You can then access it all, from any Mac, iPhone or iPad! From Roccat 4 onwards you now have better management and control of all your backups, you also now have the ability to delete the ones you no longer require. over a network, to other Macs, iPhones or iPads. Simply use the dropdown to choose the person you want to share a site with, then press ‘Flick website’ to share it! otherwise you will only be able to share when you both have the Roccat Flick menu open. FusedBar is an address bar which has been fused with a search bar. FusedBar has lots of builtin features, for example you can use twitter @ and # tags or even type locate followed by a place to search Google maps. Roccat 3 + has FusedBar 3 which includes FusedBar suggestions. 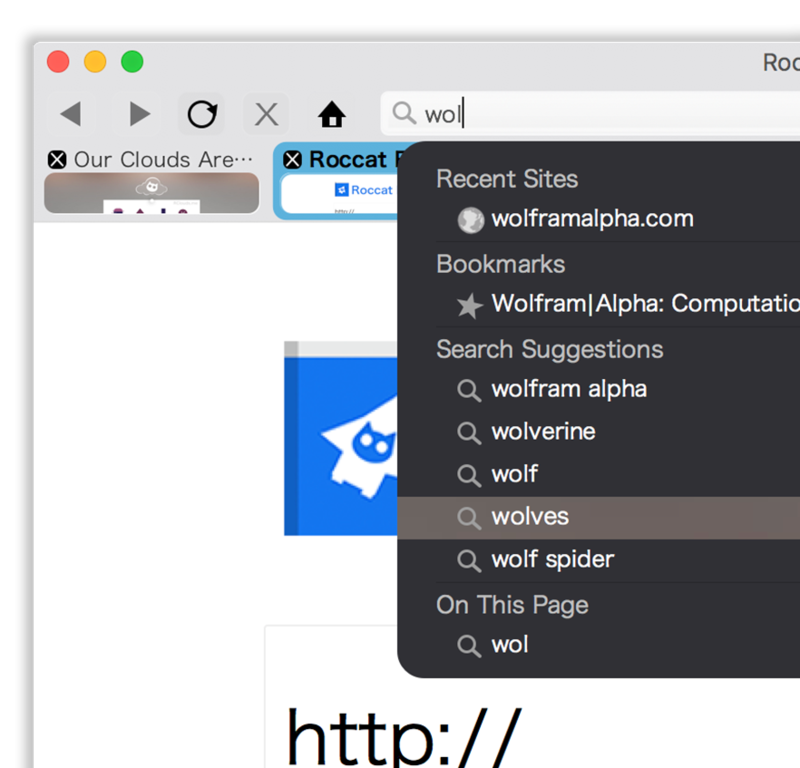 This allows you to search your history, bookmarks and Google suggestions as well as your recent sites. It also has a feature called TabSearch which enables you, to search and switch tabs, straight from the address bar! Roccat 7 + includes FusedBar 4 which can intelligently answer many questions and show information such as the weather and stocks. 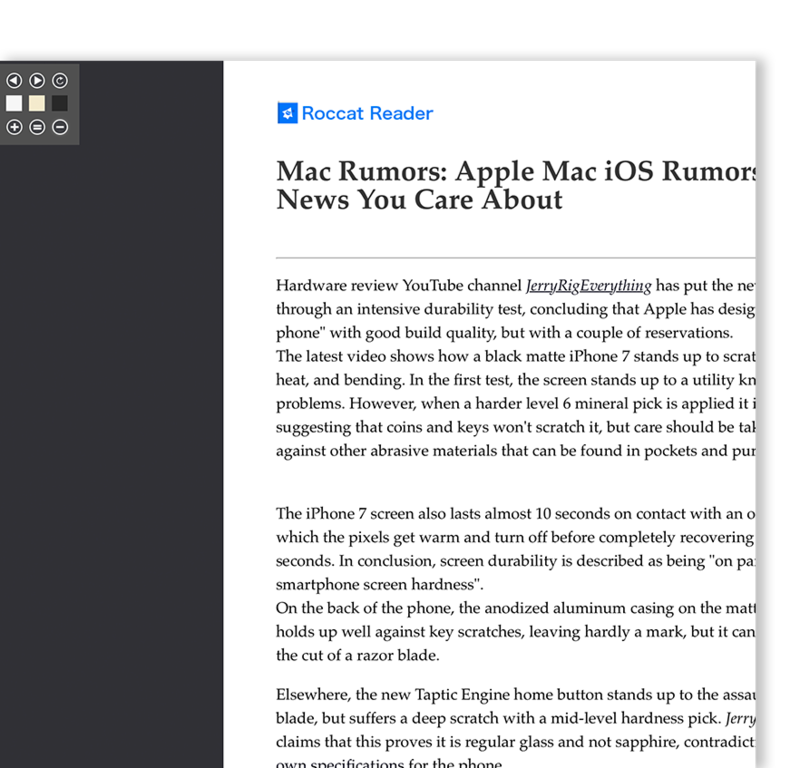 Roccat Reader provides a distraction free reading experience. 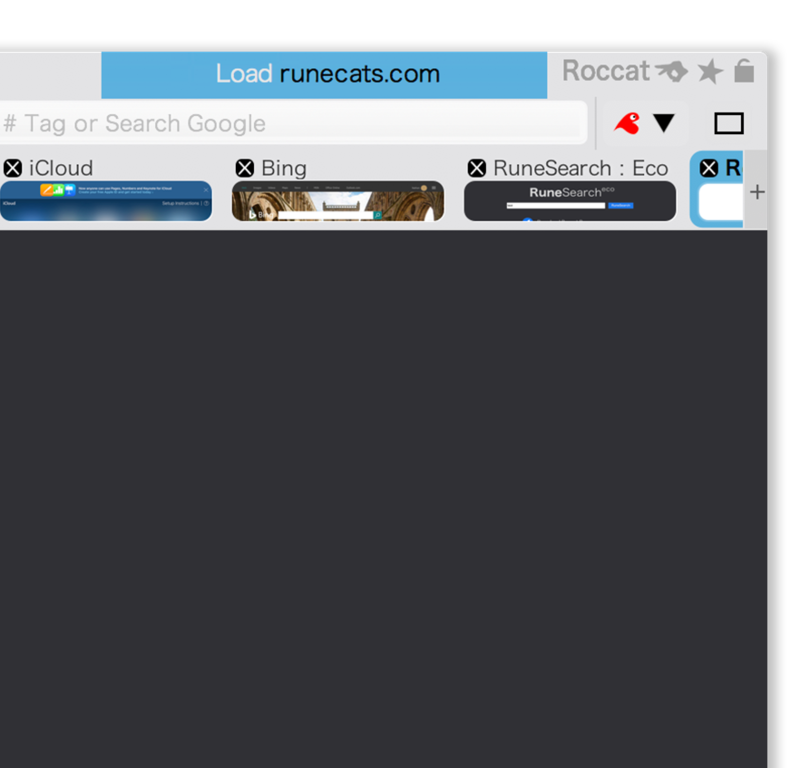 Simply go to View > Reader > Roccat Reader and you are provided with a fullscreen reading experience, to prevent distractions from other apps. 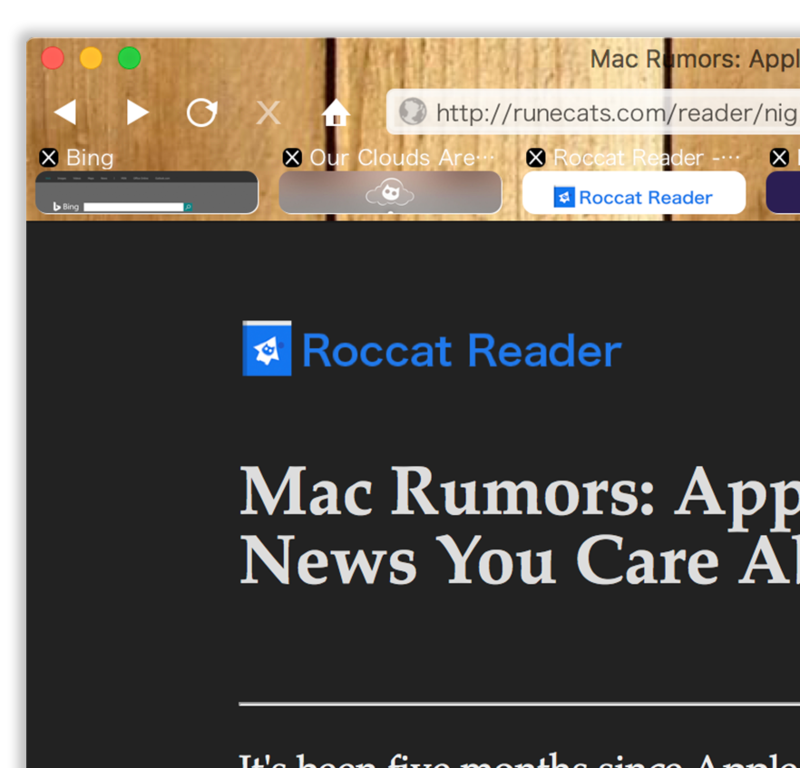 Roccat Reader also removes any other distractions on the webpage itself, leaving just the content of the article you are reading! Roccat Wallpaper makes Roccat super customizable, you can use any image as a theme for Roccat. Roccat makes it super easy for you to do this too, simply right click an image within Roccat and choose ‘Set as Roccat Wallpaper’! with well over 20 social networks, straight from Roccat! thanks to the ‘Tweet’ feature. 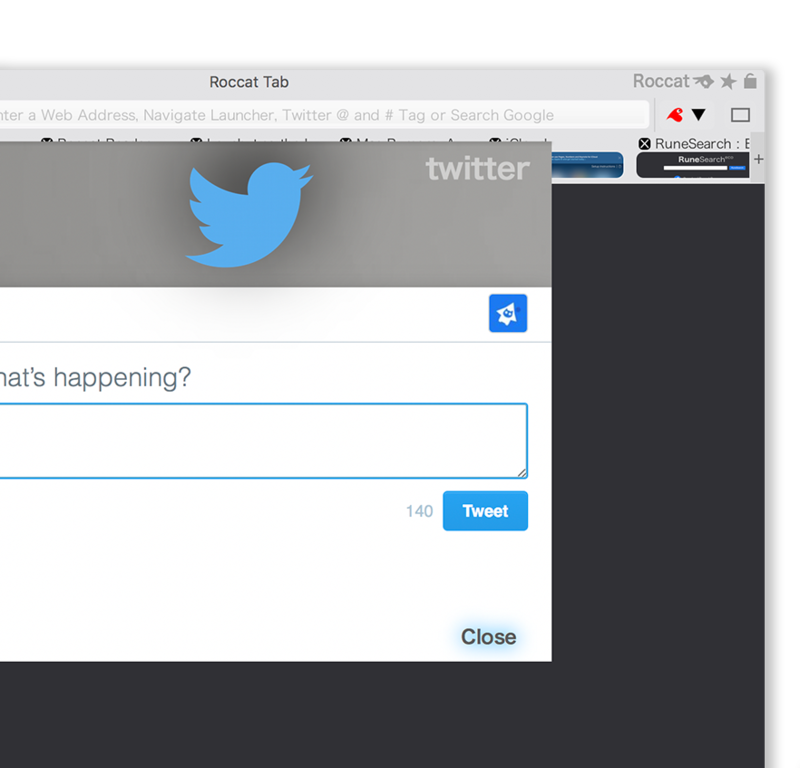 Roccat also has Lovebyt.es integration, so you can easily shorten URLs for Twitter and other social networks. Roccat 5 takes away another layer between you and the web, now you can easily draw on the web. Circle those shoes you want or highlight those important parts of an article! 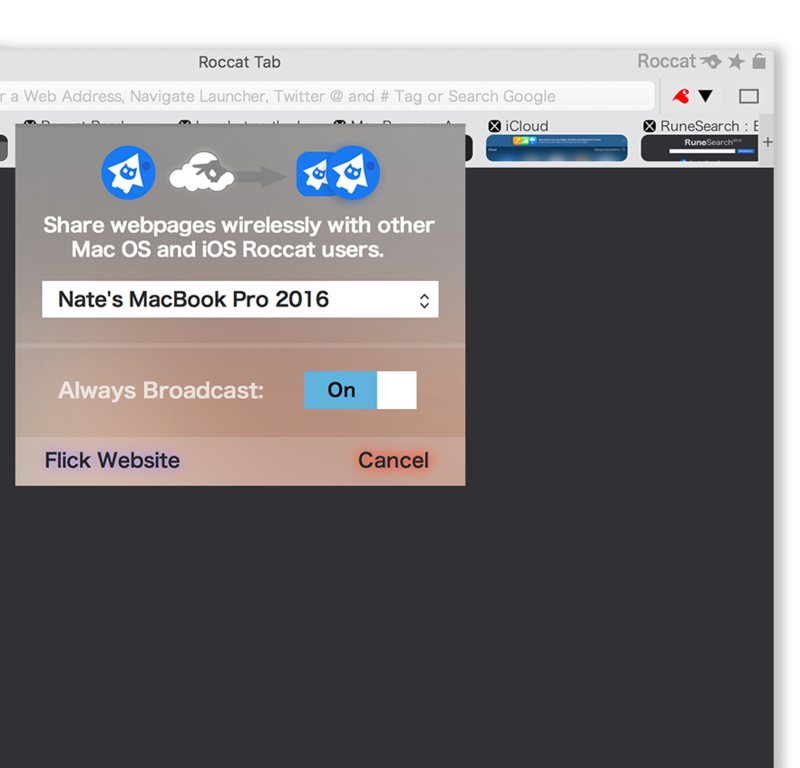 Roccat Draw also makes a get presentation tool, easily annotate and highlight key elements on the web as you talk! 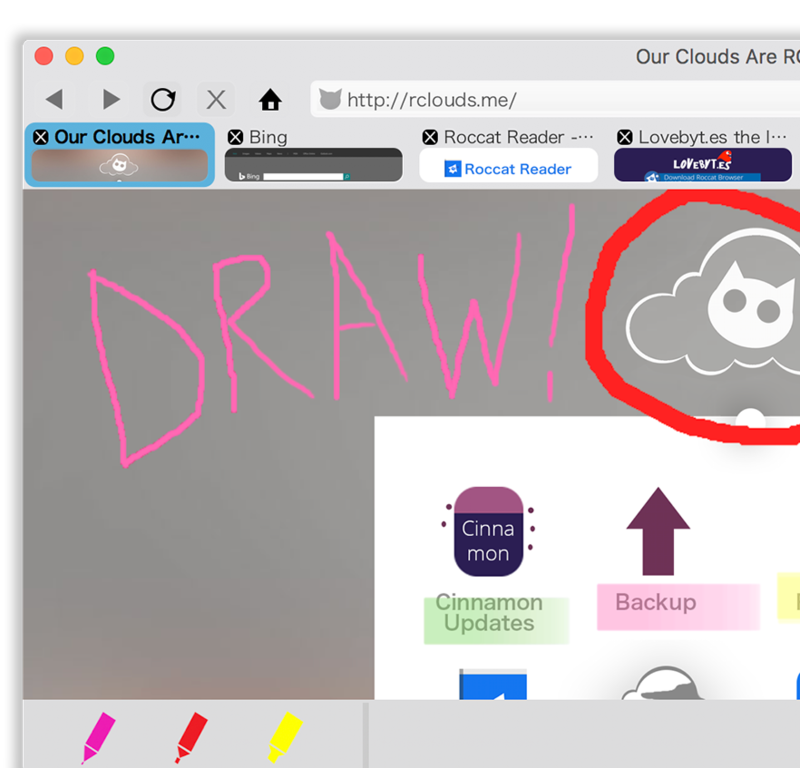 Roccat Draw annotations also show up on your full page screenshots so you can export your drawings on the web.